The other week, I met with an enthusiastic career counselor here. Instead of making me feel like a scattered, unfocused flibbertigibit, she seemed genuinely excited about all of my ideas. It was affirming to say the least. But I can’t decide what to focus on . . . But I can’t decide how to spend my time . . . But I can’t decide what to do first . . .
We talked through some things, and I now have the hint of a game plan. There is MUCH work to be done, but I feel like I’m putting one foot in front of the other. On my docket: developing a new schedule for myself. Schedules are hard. Because they are ALWAYS changing. I did a lot of yoga the last two months because I had an unlimited pass, but now it’s out. I’m doing a CrossFit like class, but that instructor will be gone by this summer. The kids had an after school activity, but it’s on break right now. Always changing. And then stuff gets changed up at the last minute. Something on the car breaks. A kid gets sick. You get an opportunity to attend a cooking class last minute. You never know. 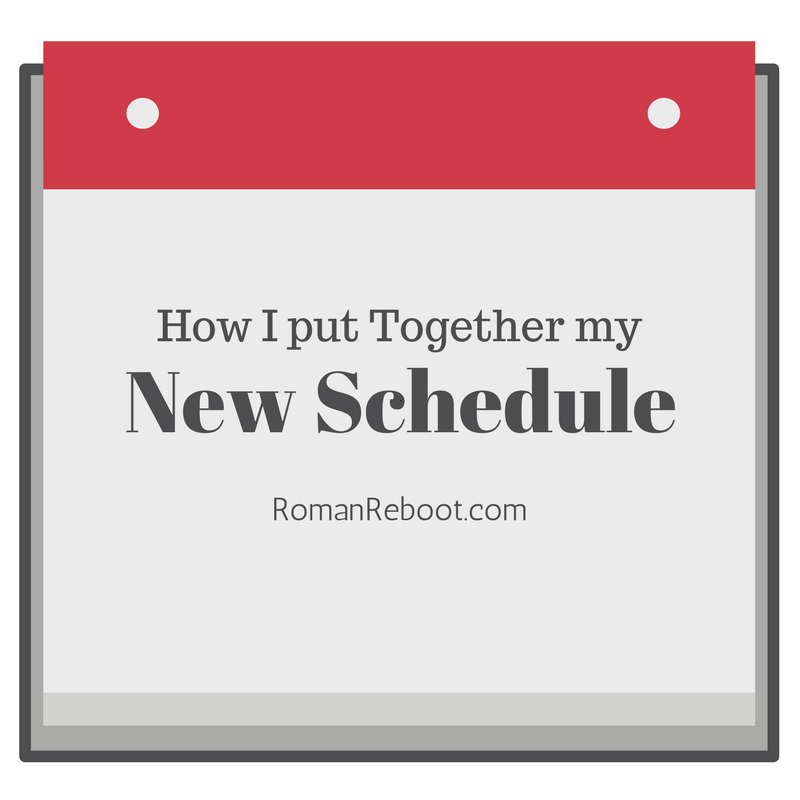 With my Upholder nature, I still like to have a schedule as a goal. Particularly as someone who is dabbling with self employment, I find it very helpful to have a schedule. Maybe it doesn’t always happen, but I’m getting more accomplished than I would otherwise. To approach this, I started putting together lists. Lists of stuff I want to do every day. Lists of stuff to do weekly. Lists of stuff to do sometimes. INFORMATION CAPTURE. Looking over things, I’ve realized that housework has been creeping up. I used to make a game of spending as little time as possible on it. I need to get back into that mode. I also realized that I can’t seem to drop any of my big rocks. I keep trying to focus on one thing at a time, but I just CANNOT. Instead of fighting it, each activity gets a day. Blog writing on Mondays. Travel Tuesdays. Website Wednesdays. Health Coach Thursdays. Currently, Friday is free to do other fun adventures, catch up on other administrative stuff, or absorb stuff from another day that got bumped because of other schedule surprises. I have defined workout classes currently, and I really like this. It helps me know what clothes to put on each morning. It makes sure it gets done. It makes me feel accomplished without taking over other stuff. When I have to switch to the next iteration of working out, I want to make sure it is very clear in the schedule. I still need to work on many things. I have several photo projects that could use some dedicated time. The desired daily pick up hasn’t been happening. But having goals makes all of this easier. Even if it doesn’t happen, it is MORE LIKELY to happen now. This is why I really like the daily focus plan. It narrows my focus. And even if I don’t feel like I accomplish a lot, I do accomplish something. Do you have a schedule? Is it rigid or fluid? Do you get frustrated when things have to change? I’ve been doing Towel Tuesday for so long now, I think I forget that other people have their own systems. Silly Upholder. I’ve never been able to stick to a schedule…It’s even harder now with homeschooling and every day looks so different! BUT, I’ve tried to be more intentional with laundry and bathrooms and floors. I’ve been threatening to hire someone for the bathrooms (because BOYS), but honestly, we tried it when we moved here and I’m not crazy about having someone else come in…so I put it off and put it off and then it’s a REALLY crappy job hahaha! Thanks for the inspiration–love the days for laundry 🙂 And I’m excited about you having some professional goals!! Can’t wait to hear how it all plays out. Ah, boys. I swear mine’s bathroom always smells like a urinal. Delightful. At a fairly young age, my Mom told my sister and me that we were in charge of bathrooms. I guess around once a week, she’d hand us the stuff and tell us to have at it. We were always coming up with new cleaning methods and I doubt the bathrooms really got that clean. I remember hating it at the time, but now I look back at it fondly. Wondering when I can try this on my boys and if there is ANY chance they will comply. Heehee. I’ve started bullet journaling and it helps because my lists are all in a book and I get to check things off when I’m done. I have a cleaning schedule where I do one thing on a set day each week. Then I can enjoy doing the other things because I don’t feel guilty. If my one chore is to “declutter,” I changed it to “declutter for one hour” and I don’t feel so overwhelmed.